Born in Massachusetts, Patricia Panahi moved to Iran at the age of nine. She later returned to the States and completed her graduate work at San Diego State University. Panahi has taught English in Iran, California, and Hawaii, owned and operated The Light Spot Bookstore and Coffee House in San Diego, and directed English language programs for international students for the University of Hawaii. Panahi retired from UH Hilo in 2016 and is now focused on her writing career. 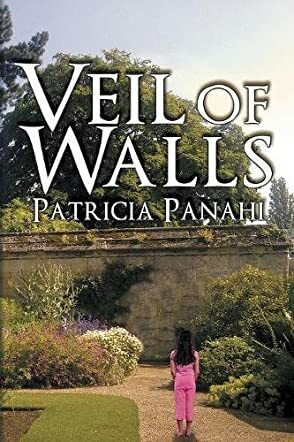 Veil of Walls by Patricia Panahi is a compelling story that plunges the reader into the heart of Persian culture and norms, exploring social issues and powerful themes like family, the rights of women, and marriage. A ten-year-old girl goes on a one-month vacation to Iran against her will. She would have loved to hang around with her friends or do stuff she loves in the US. Now, while in Iran and holed up in a compound with frequent bonfires, the vivacious girl couldn’t wait for the month to finish so she could return home to the US, but everything changes when her parents die in a tragic accident. There is no going back to the US for her. And this is just the beginning of her struggles because she will have to resist her grandmother’s determination to transform her into a proper Persian woman and resist being forced to marry someone against her will. Can she find her path back to the US and to freedom? Patricia Panahi has crafted a story that reminds me so much of Khaled Hosseini, the author of The Kite Runner, because of the great setting. The author mesmerizes readers with the colorful setting, the wonderful evocation of senses, the keen attention to details about Persian culture and customs. The conflict is so strong that readers will find themselves rooting strongly for the protagonist, eager to see her grow and embrace her inner freedom. Veil of Walls will open the reader’s eyes to the beauty of Iran and some of the social issues the country faces. Told in a powerful, first person narrative, this novel will keep readers completely absorbed. Such a delight to read!